Additives and primers There are 5 products. 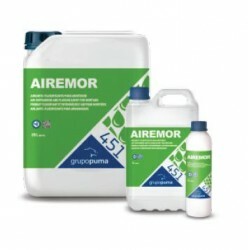 Air-entraining and fluxing agent for mortars. 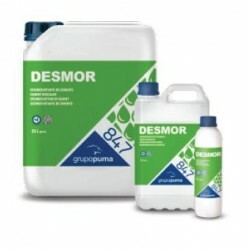 Price per 5L./pc. 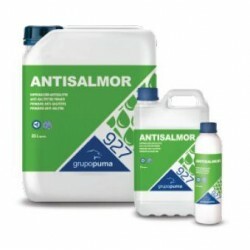 ANTISALMOR is a water-based product for removing and preventing the appearance of efflorescence caused by saltpeter on typical construction site facings, such as mortar, concrete, brick, fiber cement, natural stone, etc... Price per 5L./pc. Mortar waterproofer. It improves traditional mortars qualities. Price per 1L/pc. 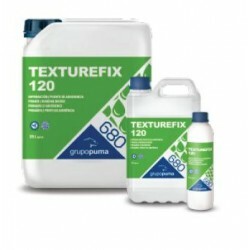 For removing cement, glue, plaster, paint and cement-based stucco when cleaning claddings and ceramic floorings. Price per 5L. 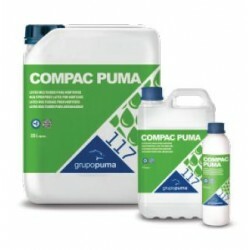 Is a water-based acrylic and vinyl primer, to be used in construction as a bridge joint between new and old mortar shows good penetration and cohesion capacity due to its particle size and residual tack. It also improve the conditions for adhesion to the vertical substrate supports, a step that should be taken before applying the covering. Price per 5L.